This video shows Peter being baptized in the church in May 2018. We believe that those who trust in the Lord Jesus Christ and follow Him should testify to their faith by being baptized. 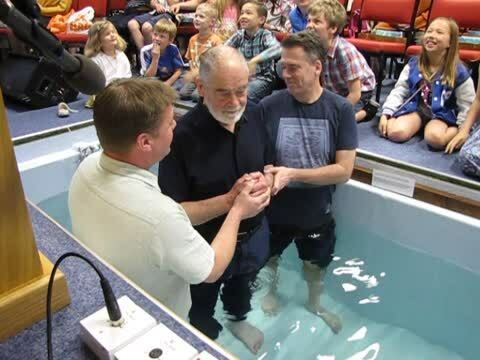 We baptize by full immersion in water because this is a symbol of the believer's share in the death and resurrection of the Lord Jesus Christ.